OPEN to everyone, "pick-up" sessions twice a week. Welcoming to those who've never played before up to, and including, GB players. Spirit and the fun of the game take the focus rather than technical skill. No experience or commitment required! 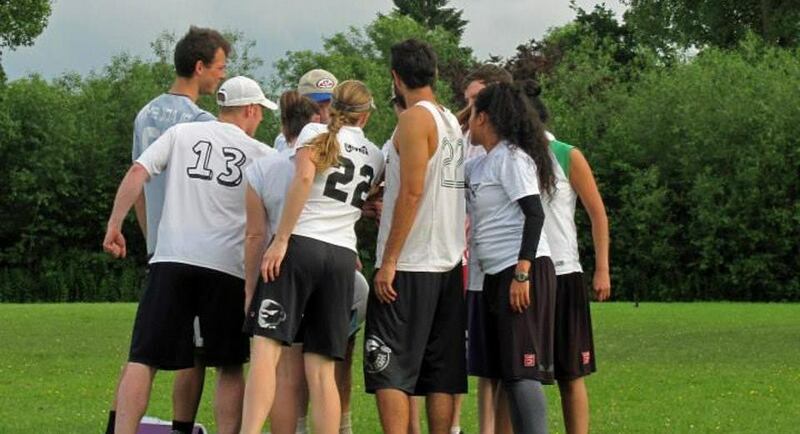 Competes in Mixed and Open Tour national UK Ultimate tournament series. Training is open to players of any skill level who want to train, improve and compete competitively in Ultimate. 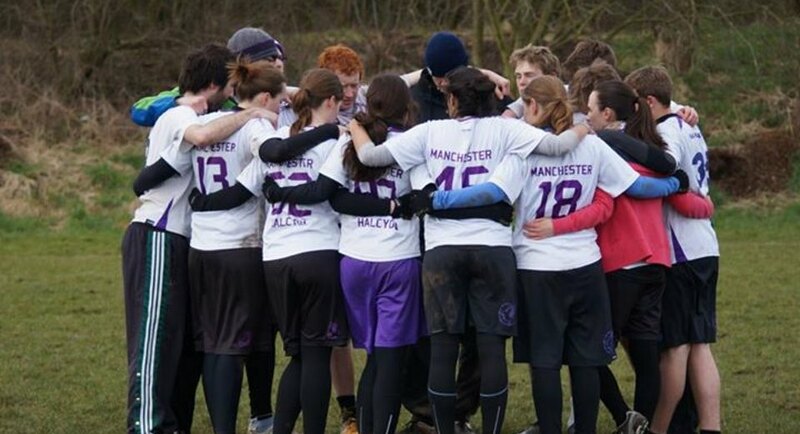 Manchester Ultimate Women's are an elite team focusing on top level UK Ultimate. Regular open training and selection sessions are held - please contact us for more info. 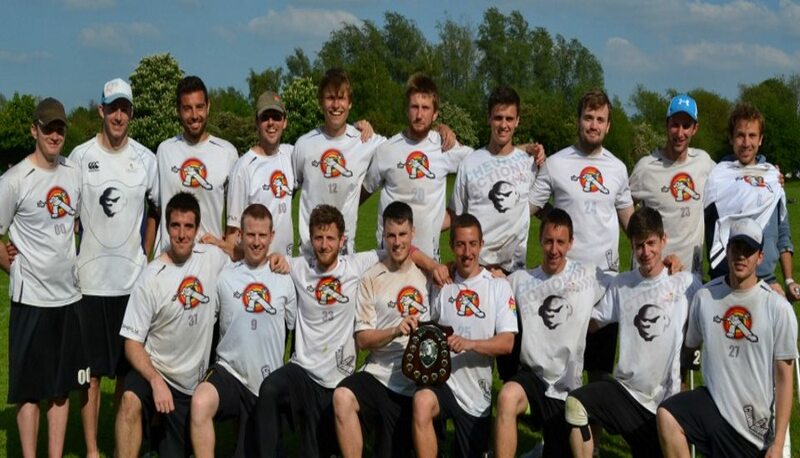 Manchester Ultimate - an elite team focusing on top level UK Ultimate. Members also support the wider Manchester Ultimate Community by leading and coaching regular skills sessions. Historically from Manchester though drawing on the player pool from across the UK. Consistently been one of the top performing clubs in the UK and in Europe competing in the UK Open Tour Series and European Club championships. Halcyon is our name and that's our emblem in the top. We're a mixed club with men's and women's squad as well - we train together and party together. Our training sessions go on all year round and are always open to everyone. We have casual trials before Regionals and Nationals, all other tournaments are open to all members. Never played before? That doesn't matter to us. Most of us only started playing when we got to uni, and we're always happy to help beginners get to grips with the sport. If you're trying to decide on a team nothing beats meeting them and discussing their ethos and commitment requirements so please contact the clubs directly for more info! 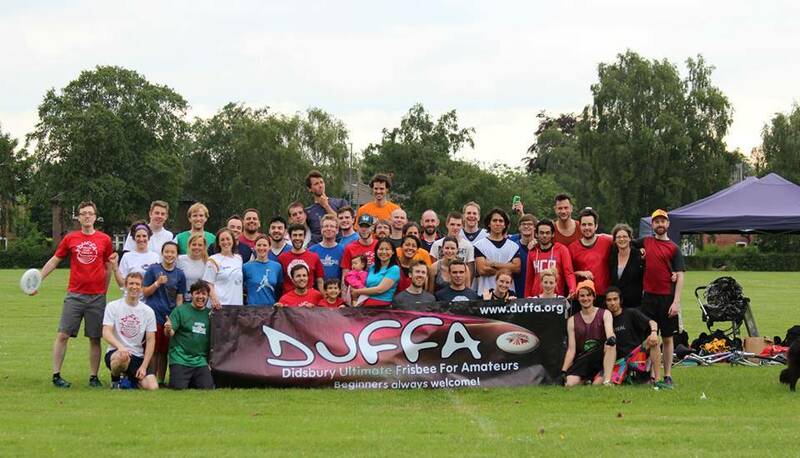 DUFFA runs a regular "beginners' taster" session for those new to Ultimate and also welcomes new people to attend any of their sessions. If you've played before and are a bit rusty then perhaps try pick-up with DUFFA or check our calendar for a coaching / training session with a team that has open trainings (Black Sheep or Manchester Open). To find which club (or clubs!) is right for you can just read through the profiles below or, fill in your details below, and try our our BETA "Which team(s) are right for me" sorter which will try to suggest the most suitable club for you! They are sorted below according to your search criteria but please read the profiles to find the club(s) that best suit you! OPEN to everyone. We run pick-up sessions - twice a week, anyone can come and play! Welcoming to those who've never played before up to all levels! Spirit and the fun of the game take the focus rather than technical skill. Players join us for the love of the game in a casual and relaxed setting. No experience or commitment required! Our session times change depending on the time of year - come check us out at www.duffa.org and on Facebook. Ready to step up to competitive Ultimate? 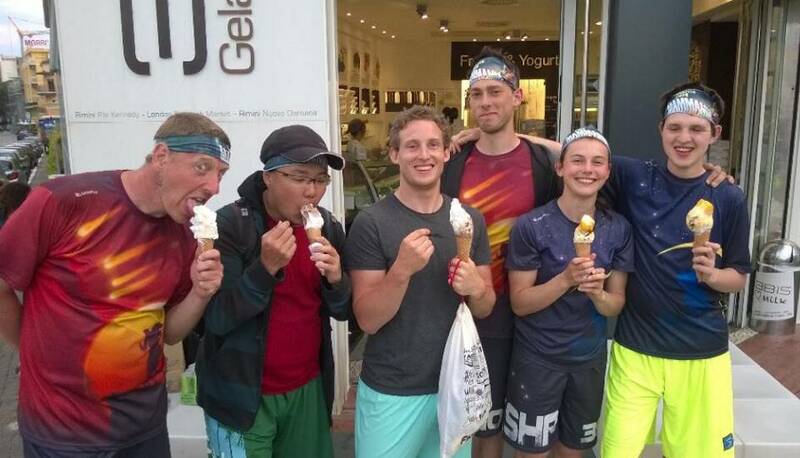 Black Sheep is a team based in Manchester, competing in both the Mixed and Open Tour series and also attending fun tournaments. Our training sessions are open to players of any skill level who want to train, improve and play at a competitive level. Making waves in Women's Ultimate! 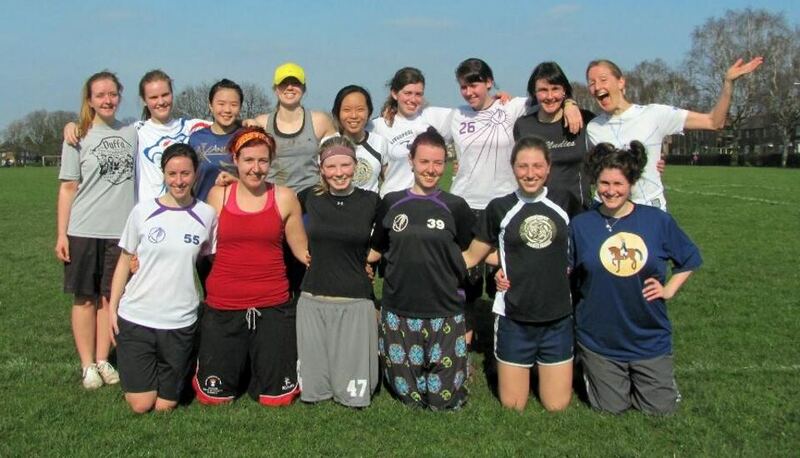 The Manchester Womens' Team is brand spanking new for the 2014 season! For information about the squad and current training times / locations, please contact us! Regular open training and selection sessions are held - please contact us for more info. Members also support the wider Manchester Ultimate Community by leading and coaching the regular Skills Sessions. Once a month (NO SKILLS SESSIONS ON THESE WEEKENDS)- Winter League. Consists of training on the Saturday, and Winter League from 9-3pm on the Sunday. Open to the current squad plus those interested in trying out for the (potentially) 2 man squad this season. Dates are November 8/9, December 6/7, January 10/11, February 7/8th. Competing in the UK Ultimate Club championships, UK Open Tour Series and has consistently qualified for the European Club championships. Chevron is a team of like-minded players who have been individually selected for their balance of ability, character and attitude. This balance ensures that our players share our ambitions and enjoy the journey to achieving them. 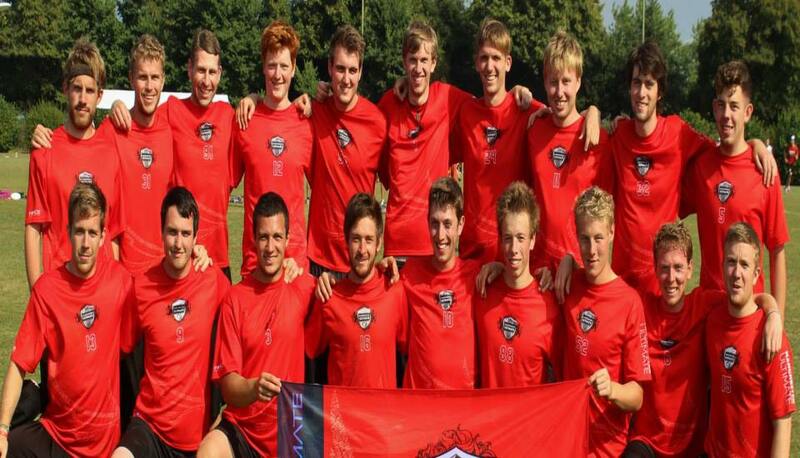 The team is composed of amateur athletes (with the player base split half in Manchester / Northwest and half in Bristol so trainings are split between the two) who dedicate themselves to being the best Ultimate players in the world. Many of the players have represented Great Britain at European and World Championships. Are you a student at Manchester Uni? Come play Ultimate with us! Halcyon is our name and that's our emblem in the top. We're a mixed club with men's and women's squad as well - we train together and party together. Our training sessions go on all year round and are always open to everyone. We have casual trials before Regionals and Nationals, all other tournaments are open to all members. Salford Students - put down that pint and come play frisbee (then have that pint)! That doesn't matter to us. Most of us only started playing when we got to uni, and we're always happy to help beginners get to grips with the sport. Training sessions run on Tuesday between 7pm-8pm at Albion Academy (see our website for details). We'll be running outdoor sessions throughout the year too, these will be announced either at indoor training sessions, or on the Facebook group, so join us to find out more! Manchester based mixed team created from interest generated from the Manchester Skills Sessions, local club and University teams. For more information contact the team via email or find us on Facebook! As with most sports Ultimate comes with it's very own confusing jargon. Mixed - Refers to teams that compete in the UK Ultimate National league Mixed division, simply put it's male and females playing together. Tour - refers to the UK Ultimate league structure. A series of weekends where teams meet and play. 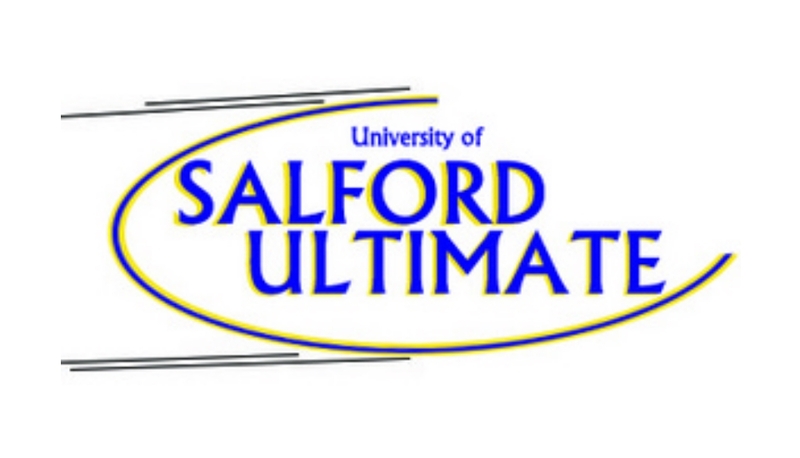 Ultimate in Manchester is a committee of people representing each group / club in the Greater Manchester area. Under 16s Ultimate is an area which Ultimate in Manchester is seeking to grow. Ultimate is a growing sport at schools due to it's low cost setup and it's inclusive nature. Currently Parrs Wood High School has a club and a number of Youth Clubs have expressed an interest in the sport.